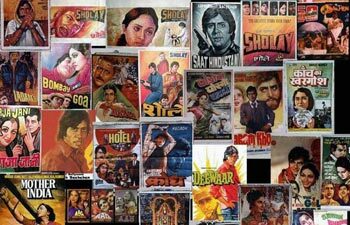 The Indian Union Information and Broadcasting Ministry has charted out a three-pronged strategy to celebrate the centenary year of Indian cinema in 2013, a senior I&B official said. Three different steps have been worked out to celebrate the legacy of 100 years of Indian cinema, I&B Secretary Uday Kumar Verma told a gathering at the International Film Festival of India (IFFI) here Wednesday, after inaugurating a special package on centenary celebration of Indian cinema. A museum depicting the journey of Indian cinema, a National Film Commission and digitalisation of yesteryears' Indian movies will be in place as the country celebrates the centenary, he said. The museum of Indian cinema would be housed on the campus of Films Division in Mumbai, in the heritage building 'Gulshan Mahal', he said. The ministry is also looking at another building on the Films Division campus to showcase current and future of Indian cinema. An amount ofRs.1,200 crore has been earmarked in the current financial plan for digitisation and preservation of films from the past, the secretary said. "We want to preserve it as our legacy," he added. The ministry has also agreed for the National Film Commission, which will provide single window clearance for the foreign filmmakers wanting to shoot in India. "The idea is to create a board represented by concerned ministries," he said.